Here's a quote by Yohji Yamamoto that I posted last night along with a photo from my previous blog post (Style Jam part 1). 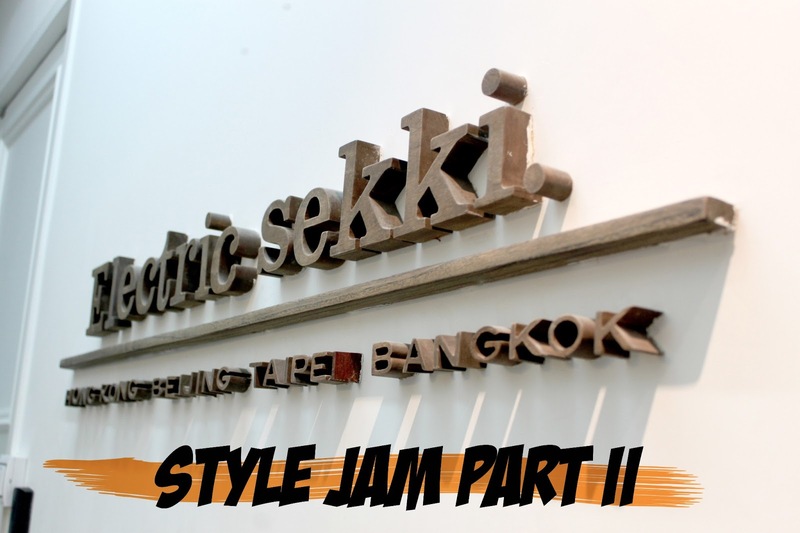 As a black lover (isn't it obvious?lol), here's another look I did for our style jamming at Electric Sekki. I went for another all-black outfit. It's amazing how any piece of clothing is just plainly black but speaks strongly with its cut and details. For this look, I went on for something classy but a little tough. Nuh-uh. Not your ordinary sneaks. Lovin' these! SUPERGA did an exclusive collaboration with British Fashion Designers Giles Deacon. These spiked/studded ones are my favorite pairs. They could perfectly add toughness to any outfits!